Thermal Transfer Overprinting (TTO) is today’s cleanest, most effective way to print variable date codes, barcodes, text and graphics on flexible packaging film, labels, pouches, sheets, card stock and other materials. 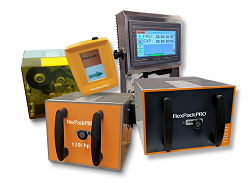 FlexPackPRO’s line of mid-priced, high-resolution TTO coders and specialty systems leads the industry in performance, variety and value. 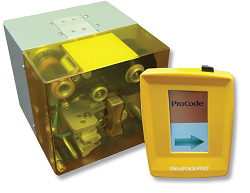 Among the most popular TTO printers on the market, FlexPackPRO® 210 Series coders provide high-resolution barcodes, date codes, text and graphics in virtually any packaging and labeling environment. For those applications requiring larger format codes, text and graphics, there is no better combination of performance and value than these outstanding 4.2” wide Thermal Transfer Overprinters. 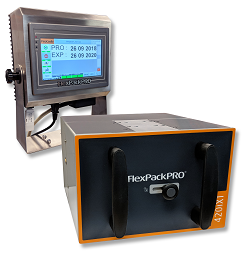 Designed with the high volume industrial user in mind, the new FlexPackPRO® XT Series models provide many outstanding new benefits, including extra large ribbon capacity, rugged stainless steel controllers, increased print areas and more! For low-volume applications in smaller facilities with little or no access to compressed air, these cost-effective, all-electric TTO units get the job done. 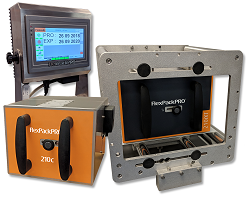 In addition to the broadest offering of in-line TTOs, FlexPackPRO® offers the versatility and superior print quality of Thermal Transfer Overprinting in a number of cost-effective, off-line variable printing and coding systems as well. 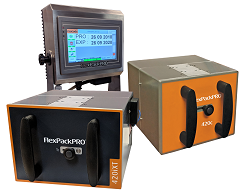 Print pouches, sleeves, cards, envelopes, bags and flexible packaging film on-demand and offline with one of FlexPackPRO’s cost-effective stand-alone solutions.